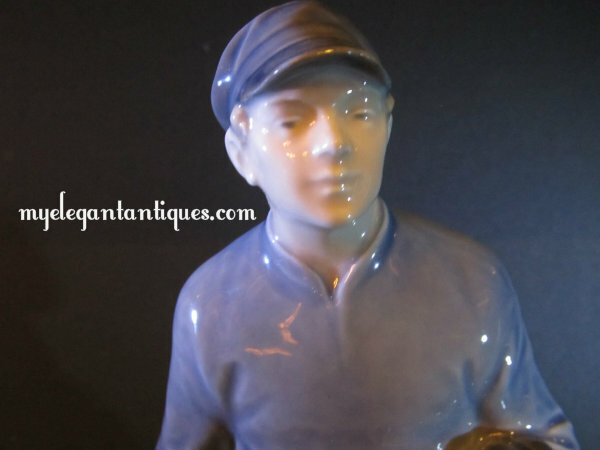 The Antiquarians are so pleased to be offering this large and lovely Royal Copenhagen Boy With Two Calves 1858 Vintage Porcelain Figurine, created by Artist Christian Thomsen in 1917. 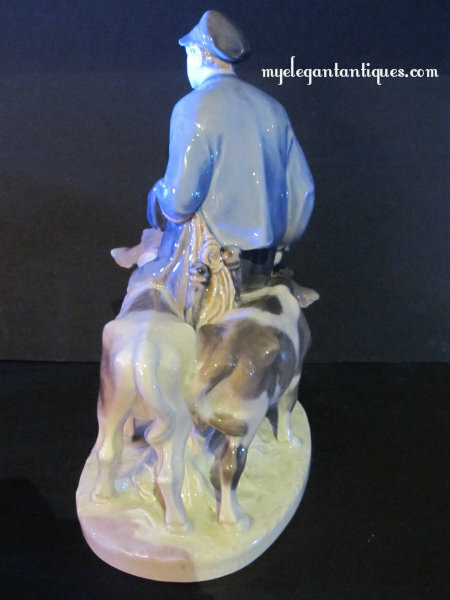 Standing 9-1/2" in height (24 cm.) 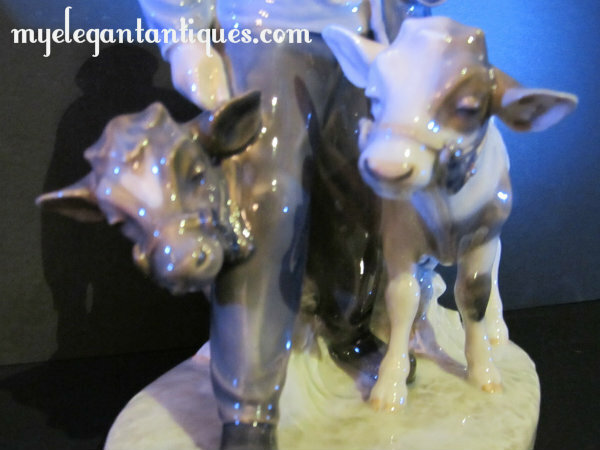 and with a base that is 7" in length (18 cm. 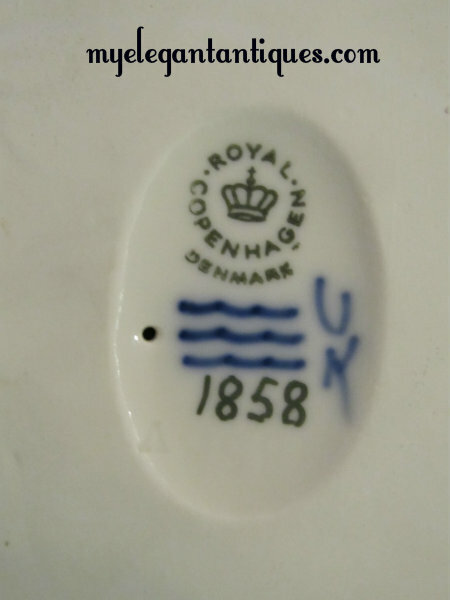 ), this gorgeous, fine quality vintage porcelain figurine displays the amazing detail that we have come to expect from Royal Copenhagen. 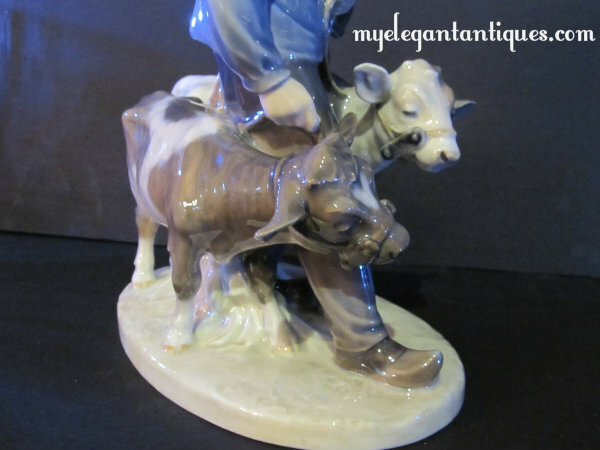 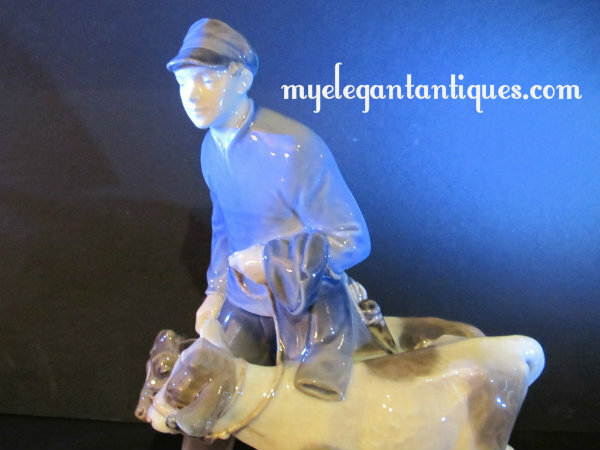 With a jacket slung over his arm, his cap on his head, and his rope and stakes secured in his hand, our young farmer Royal Copenhagen Boy With Two Calves 1858 Vintage Porcelain Figurine is leading his calves out to graze. 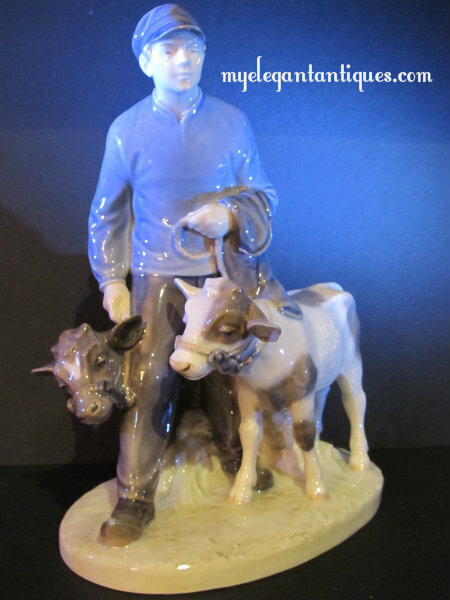 This image transforms a mundane act into one of bucolic serenity, as seen in the expressions of the sweet calves and the young man portrayed in this Royal Copenhagen Boy With Two Calves 1858 Vintage Porcelain Figurine. 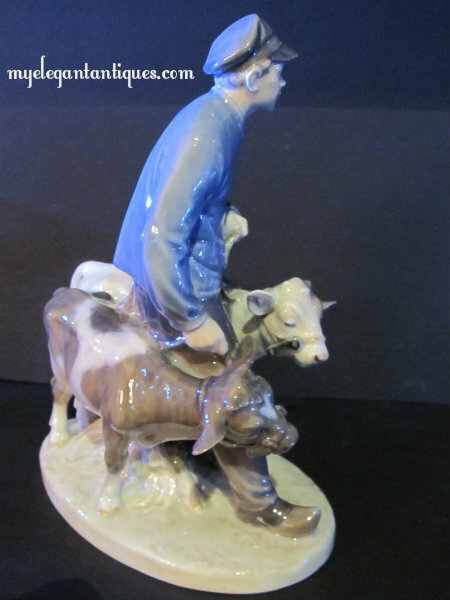 This vintage porcelain Royal Copenhage figurine is in mint condition, and will be a major addition to a collection of Royal Copenhagen or farm related porcelain figurines!